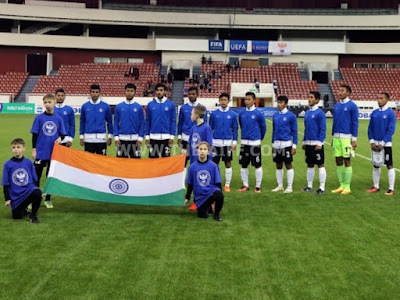 India U-17 World Cup squad defeated Belarus U-18 1-0 in the ongoing Granatkin Memorial Cup, Russia on Tuesday, 10th January 2017. This victory comes after the 8-0 drubbing at the hands of hosts Russia. Komal's second half strike was the only difference between the two sides as Nicolai Adam's boys registered their first victory in Russia. Indian defense stood strong as they did not allow even a single shot at goal. Suresh provided the assist for Komal Thatal for the winner in the 68th minute as he tapped in from close range. 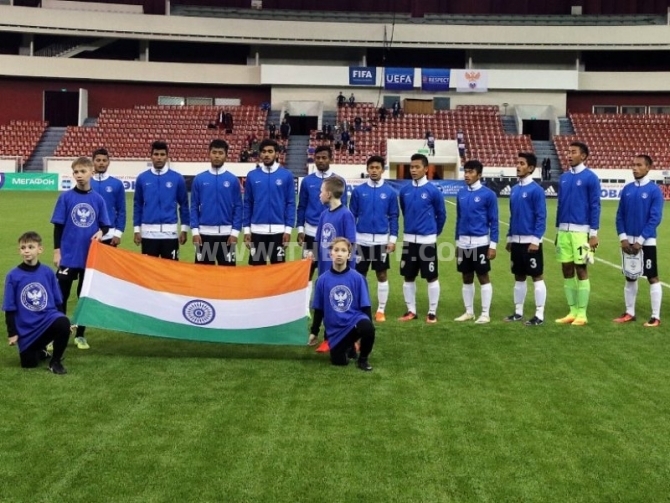 Indian colts will play Latvia U-18 on January 12th 2017 in their final group match of the Granatkin Memorial Cup.